In our house, we have two littles. My daughter is three and my son just turned one. I remember the day clearly, when my daughter started saying “no” and it was most often accompanied by a scowl of some sort. Boy were we glad when we had moved passed that stage!! BUT…just the other day, I was driving in my car and heard my son in his carseat behind me. “Nooooooo. Nooooo.” Here we go again! Now I’m wondering what I can do when my toddler says no to everything. 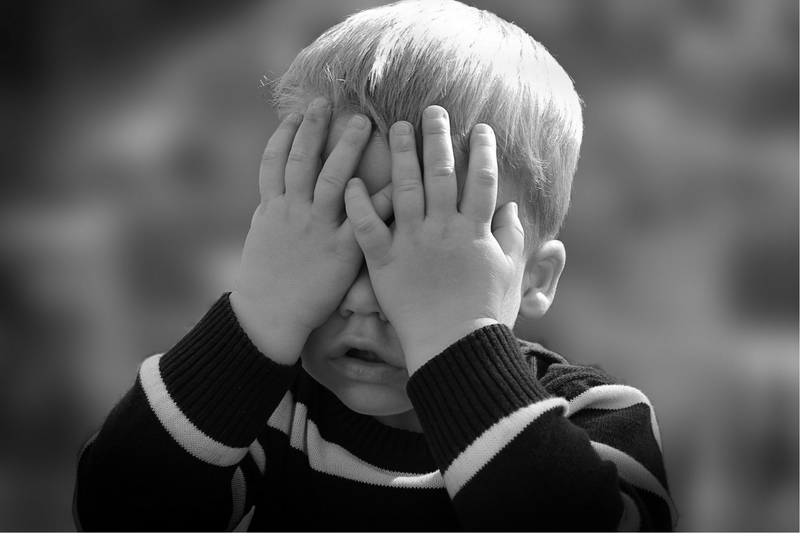 Maybe you find yourself in a similar situation where your toddler says no all the time! 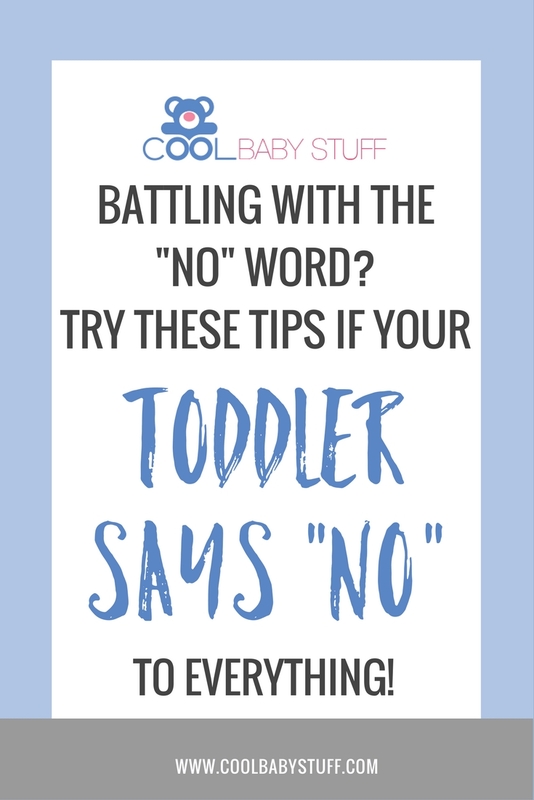 Maybe your toddler LOVES their new found word and you are constantly battling with angry “no’s.” Well, the most important thing you can remember to help you keep your cool is that your kiddo is in the very beginning stages of being able to express themselves. They are just beginning to see themselves as separate from you; as individuals who have opinions and preferences of their own. This is an exciting time!! A time of rapid growth cognitively and developmentally. Here are a few tips for helping your toddler develop more meaningful ways of expression as you work towards ending the repetitive “NO’s”. Read this article for tips to get your toddler to love reading. Babies and toddlers learn the language that they are exposed to. They’re sponges! A likely reason that your toddler is saying “no” so often is because he hears it often from you. Communicating with a little person is difficult and we may often find ourselves over-simplifying language when our kids are capable of much more than we give them credit for. Their receptive vocabulary is much greater than their expressive vocabulary. So, next time you want to keep your toddler from getting into something unsafe, instead of saying “No!” Try saying, “You want to get into that but I can’t let you do that because it’s dangerous.” Then, remove them from the situation. This communicates that their action is not alright, recognizes their desires and redirects them towards something better. Most of the time, if a toddler is saying “no” it’s because they want something different than you are offering. For example, suppose your fussing toddler is saying “no” to everything you are offering to pacify him. He has no way of verbally expressing what he wants and you’re out of ideas. Finally, you reach for a snack. The fussing and “no’s” cease and excitement fills your toddler’s face. That was it?! All of that for something to eat? Yup! This is a great opportunity to teach your kiddo some beginning signs. Start to take note of the common desires and teach your child to sign for them. Some useful signs to teach that may help remedy the “no” battle are: milk, teddy, drink, help, change (diaper), open, finished and down. You can find out more about common baby signs here. All of these “options” give your toddlers the autonomy they are searching for but they are still remaining within your request to promptly get ready for rest time. Children respond to our requests with much more compliance if they understand why we are making certain demands. This is true for adults as well. When you take the time to share with your child why you need to eat breakfast before jumping into playtime, they will be much more tolerant of your “no’s” and even more considerate of your needs. If your toddler wants to climb up the slide and refuse to climb the stairs, try pulling them aside and explaining that you don’t want them to get hurt, that it would make you very sad and that you want to help protect them. Children respond well when you let them share in your reasoning. In our home we’re about to have double the “no’s” than we currently have as my son wants to practice his defiance and autonomy. You can bet that I’ll be using these strategies to help make my day to day more of a joy and less of a battle. 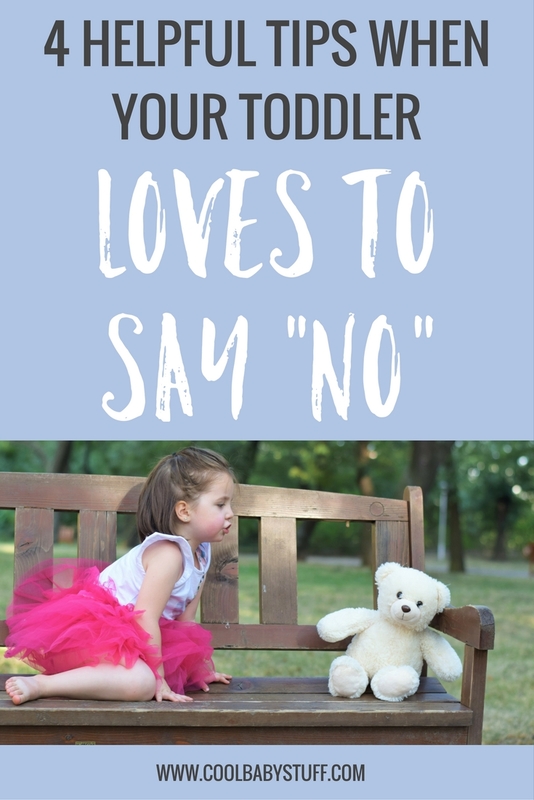 What do you like to do when your toddler says no? Let us know in the comments!